You guys! 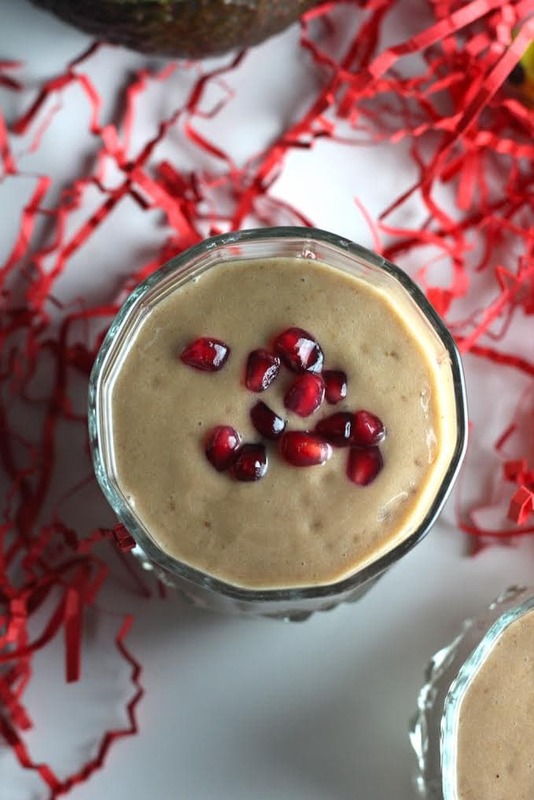 This Chocolate Covered Pomegranate Smoothie is the perfect smoothie to start your Valentine’s Day! It’s a chocolate smoothie with health benefits! The recipe comes from Green Blender. Have you heard of them? Green Blender makes healthy eating easy! Each week, you’ll get 5 new smoothie recipes and all the pre-portioned ingredients you’ll need to make 10 smoothies. Their recipes are hand crafted by leading nutritionists to ensure they’re packed with flavor and nutrients. We only use the best produce and superfoods, and focus on working with organic and local farms, to create a uniquely balanced menu. Green Blender has been featured on The Today Show, Pure Wow, Food Network and Forbes. Their recipes are more than just a list of ingredients, but a course in micro-biology. As you blend, you’ll learn how our carefully crafted smoothies will nourish your body and mind. 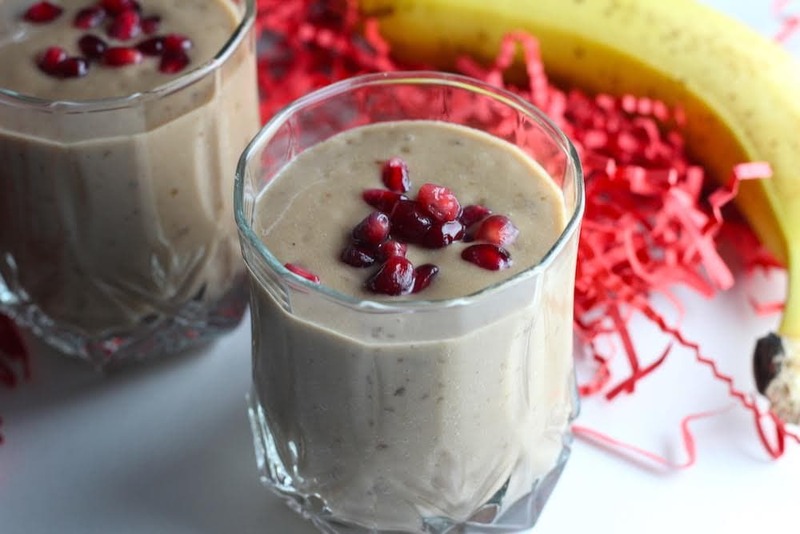 You are what you eat and these smoothies are packed with essential vitamins, minerals, antioxidants, proteins and fiber. Their benefits are endless: clearer skin, heightened mental clarity, increased energy, and weight loss. And, their nutrients are known to reduce the risk of cancer and heart disease. Each original recipe yields two 12oz servings. Right now Green Blender is offering a discount code for My Whole Food Life Readers. Just use the code: MYWHOLEFOODLIFE and receive 20% off. Just click here to find out more. Yay! The recipe below is from Green Blender’s Valentine’s Day menu. Get your chocolate fix and greens at the same time with this healthy smoothie! Place all the ingredients in a blender and blend until smooth. Serve immediately for best results. Enjoy!! Disclaimer: This post has been sponsored by Green Blender, but all opinions are my own. The post also includes affiliate links. Thank you for supporting the brands that I love! Swiss chard in a smoothie? Wow.... super good for you!! ohhh my god! This looks so good! ....running to the kitchen .... Ohh no I eat the last avocado for lunch! I'll give it a try tomorrow!